Disney Interactive hosted an event with some press in Europe yesterday and has allowed those to attend to upload some videos of the Toy Box part of the game for your viewing pleasure! So now we have four videos from this event for you to enjoy! a beta preview of the Halloween Town Highway Nightmare Before Christmas toy box speedway track with developer commentary. 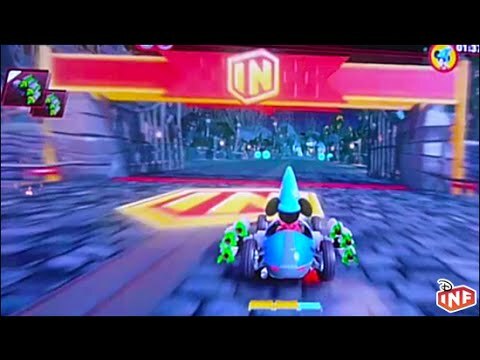 recorded at the Disney Infinity 3.0 london press briefing on 21 may 2015.
the person racing, not me i hasten to add, decided to try the 250cc version first without learning the track. when it was my turn, which isn’t recorded becuse i don’t have four hands, i used the 50cc version and found the handling to be a massively improved compared to Disney Infinity 1.0 and 2.0. Sumo Digital and all other teams involved can be very proud of what they have achieved. We take a quick tour around the Toy Box hub from farming to platforming to action and tutorial, it’s all here. The Toy Box this time around is made even easier to find the content you will enjoy. Like the Ewok village here for example for what can be made. We also look at some Star Wars items, the Sand Crawler, Canteena, At-At, Jabbas Palace and even a fully digesting Sarlacc Pit. 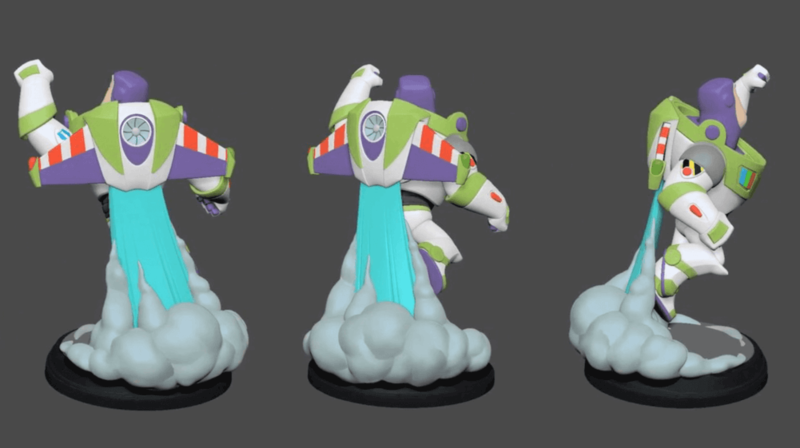 We take a hop into the Toy Box Takeover adventure for Disney Infinity 3.0. This one is developed by Avalanche Software themselves and offers a variety of action and brawling gameplay for any of the Disney characters. This includes more enemies than the previous Toy Box games as well as larger set pieces. They really do feel more like a fully featured game in their own right. They also come with their own translucent playset-style hexagonal piece rather than disc this year. And they are sold separately. As a bonus here is another video showing off some of the Disney Originals figures! 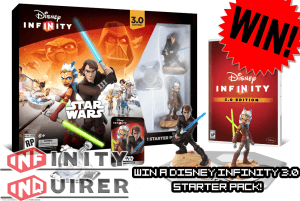 Remember to get your entries in to win a copy of Disney Infinity 3.0! You can enter each day in the month of May!